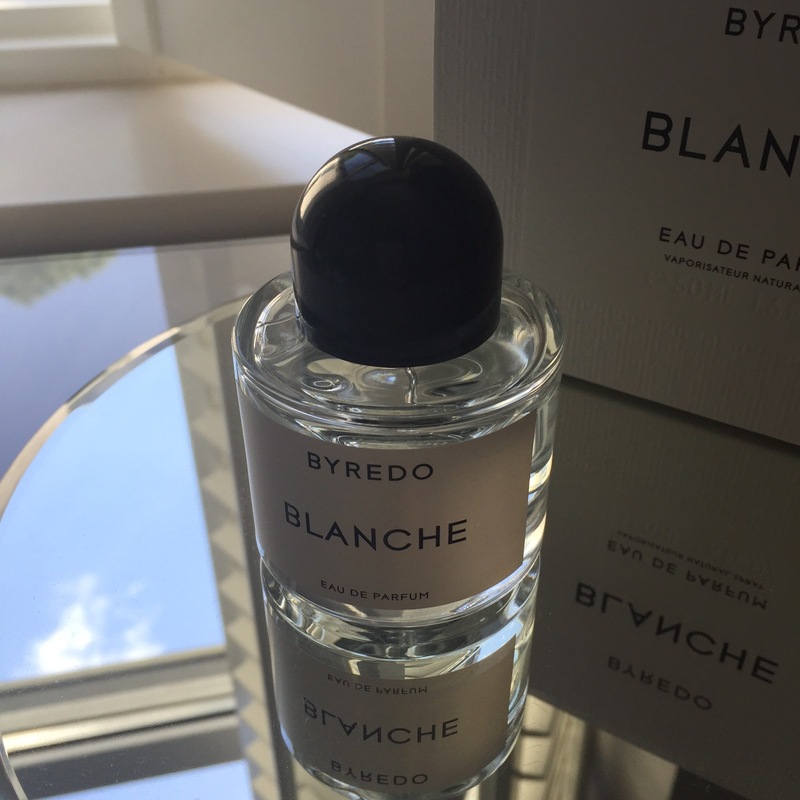 Byredo....so let's start with how I have no idea how to pronounce this correctly! If anyone can help with this please enlighten me! 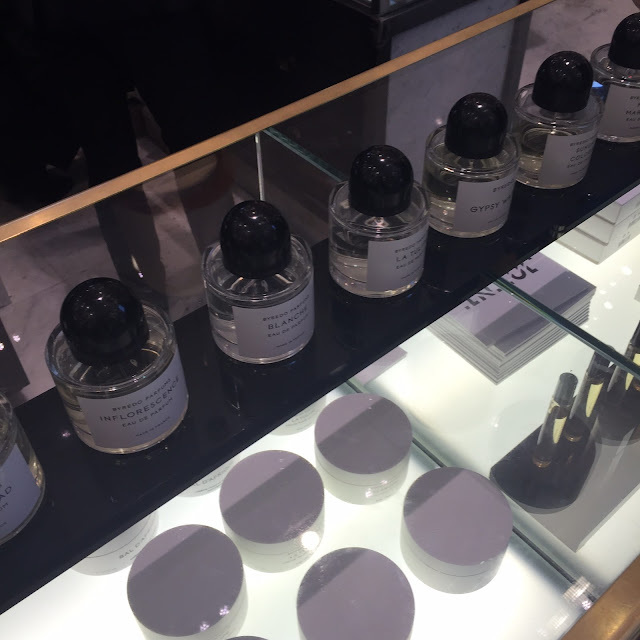 So, the concept of the brand is simplicity, unique scents and all 'natural' fragrances, they use no chemicals so you don't get that nasty 'after-smell' like you do with some perfumes. I was told this by the very helpful and lovely guy on the Byredo counter at Selfridges who also assisted in my final choice. I can't remember his name but he was great! I eventually (after a lot of umming and ahhhing!) decided on 'Blanche' and I'm happy to say I couldn't be happier with the choice I made :) it's such a beautiful, unique smell. So unique, I am really going to struggle to describe it to you if I'm being completely honest! 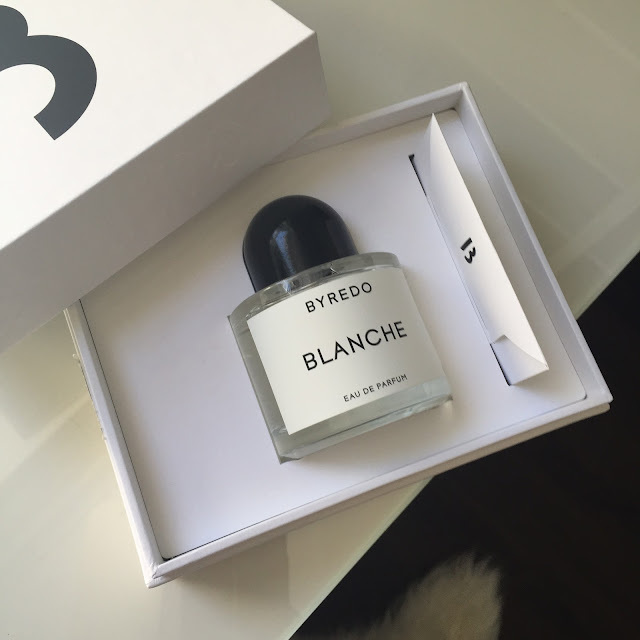 "The idea for Blanche is, as the name suggests, built around my perception of the colour white. For the first time I actually made a fragrance for and with a specific person in mind. I wanted to capture her innocent and untainted side, with a fragrance almost transparent in nature. Blanche also represents and appreciation for classic beauty. The fragrance is pure and simple in structure but extreme in character"
The musk is very slight and I can definitely smell a hint of Peony in this, it almost reminds me of what Narsciso and Jo Malone Blush Suede and Peony would smell like if they were put together. It's very non-offensive and a good 'every day' sort of perfume. The only (and it is the only) downside to this perfume is that it doesn't seem to last as well as some other perfumes, I'm suspecting that this is because of the natural ingredients. With this in mind, I'm considering buying one of the rollerball oils to pop in my bag for a midday top up! Ok, so from this post we've concluded two things. I'm still not very good at describing perfumes. I don't think I ever will be! Secondly and more importantly, this is a beautiful fragrance and one I will definitely be repurchasing and would go as far to say it has a strong possibility of being my signature scent I love it that much. 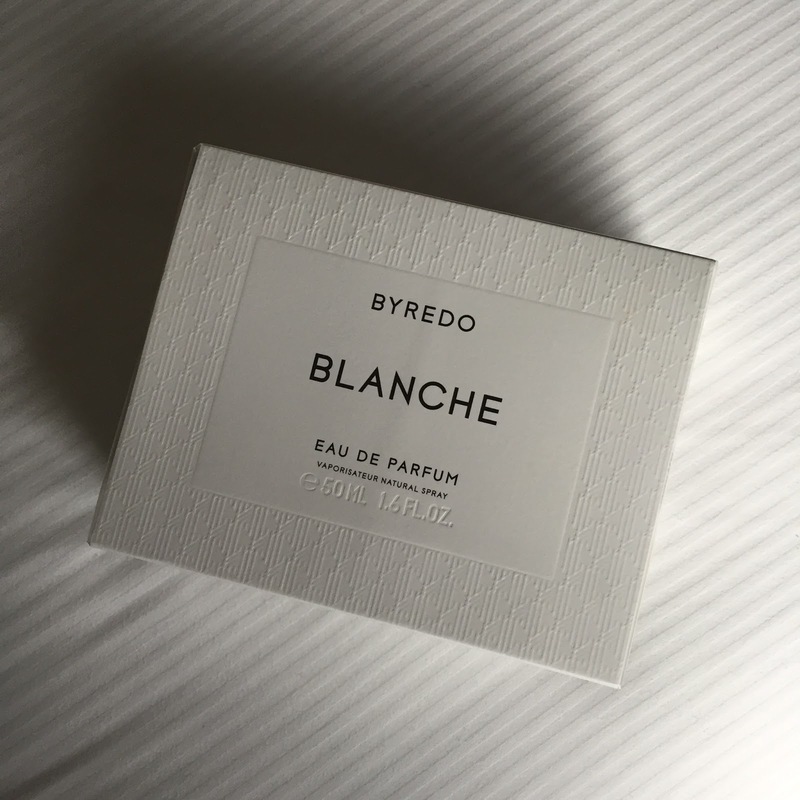 I've fallen for Byredo, has anyone else tried any of their scents?